Jennifer Graham's world falls apart when her husband runs off with their sons' nanny. She quits a lucrative job in a senator's office to avoid daily contact with her ex. She and the two boys move in with her mom as she hunts for another job on Capitol Hill. 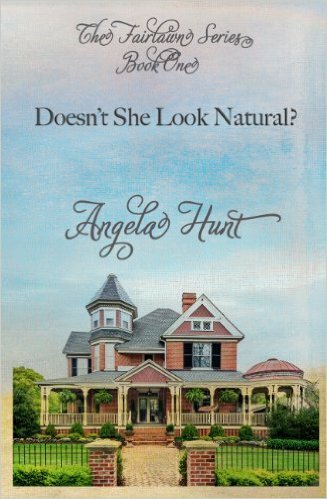 Her life takes an unexpected turn when she inherits a funeral home in Mt. Dora, Florida. Angela Hunt is one of the most original authors I've come across. 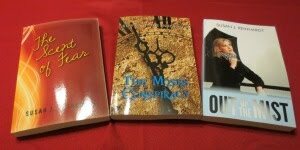 Her contemporary stories are gritty but always have a strong Christian thread. The characters are believable, and their values undergo changes as they face the difficulties of life. Doesn't She Look Natural is Book 1 of the Fairlawn Series. It's a stand alone novel that leaves you wanting more. Be forewarned, I wasn't able to get the other books. It seems the author is in the process of re-issuing her back list. When the other books are available, I will pick them up. 5 Stars for this one. It was an enjoyable, and at times, heart wrenching read. Disclaimer: Neither the author nor the publisher paid for or requested this review. All opinions expressed are mine alone. Writers: Do you take controversial subjects head on in your writing or do you prefer to avoid them? Please share. Readers: Does it bother you when a character deals with issues like divorce? Please share.